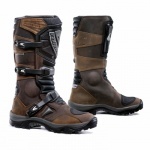 For years FORMA boots have been very well received and appreciated by motorcycle riders worldwide. 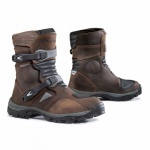 Our technicians, who have more than twenty years experience in the field, design and create exceptionally safe and aesthetically attractive boots. 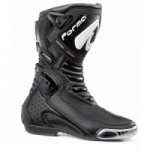 In fact FORMA products are designed, tested and produced solely in-house. Furthermore, all of our production moulds are also made internally; therefore, guaranteeing an outstanding finished product. The important feedback and assistance given by our riders is fundamental to our Research and Design Dept. Riders like Marvin Musquin, Cedric Melotte and Alex Baldolini are only a few of our testimonials and riders who test our products on-track and furnish important feedback to our technical staff who then apply these suggestions and changes during production. Our modern facilities are able to guarantee elevated daily production in order to offer fast and reliable service to our clients worldwide.